As a business owner, your goal is to not only draw customers to your site, but to create sales conversions as often as possible. With Internet marketing reaching its highest level ever, having an active ecommerce site is a great method to boost your business sales. Whether you have a store front with an additional website, or work solely as an online proprietor, utilizing all information available to you to increase sales is imperative. 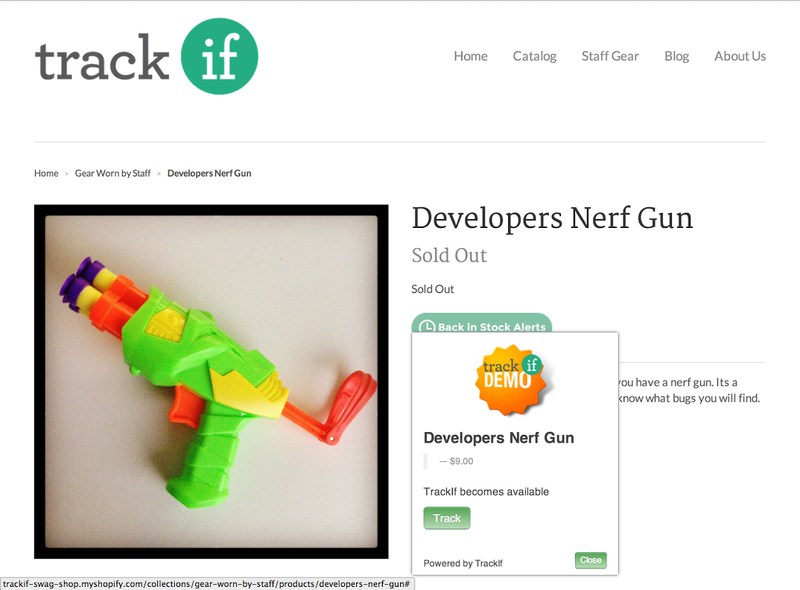 TrackIf is the perfect solution for large and small ecommerce sites of all types. This innovative ecommerce app works not only to benefit the website owner and seller, but as a means of help to a buyer as well. Not only will you as a business owner be able to increase your sales conversions, your customers will be naturally drawn back to your site to meet their needs in the future thus creating a long term repeat customer. This great back end tool is a method to track your customers habits on your site. A simple code added to your site allows you to see what potential customers are interested in, as well as the price points they find appropriate. TrackIf gives you not only information about your customers habits, it gives them the opportunity to easily let you know what they would like to see happen. In the process, it allows your customer to take control of their shopping experience and give you feedback in a simple and non intrusive to them way. Why Choose TrackIf For My Site? 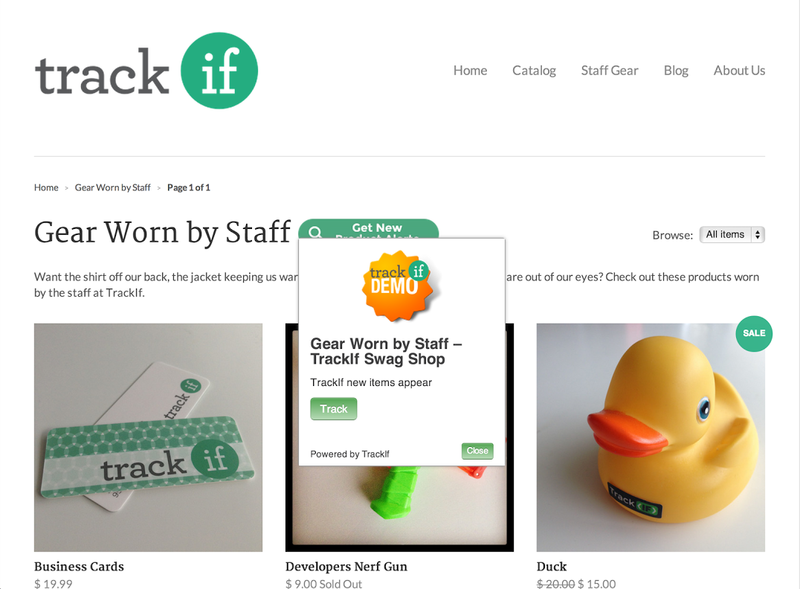 Additional Buttons To Remind or Notify of Updates, Sales & Price Changes. These are easily placed next to the “buy now” button on all products. This gives your potential customers the ability to specify the price point they would be willing to pay, so if the product goes on sale at that price they would receive an email notice encouraging them to come back and make the purchase. Out Of Stock Notices. Addition of a “notify me” button to all pages so if an item is out of stock, you won't lose future sales. As soon as it is back in stock your customer will be alerted and return to make their purchase. This also gives you an insight on how many additional products to have on hand to supply your customer base in the future. Integrated Social Commerce Capture. This utilizes your existing social media following to increase sales without paying the high fees social media often charges to promote your business. When a customer shares a product from your website to social media, they will be given the opportunity to receive notices regarding that product in the future. Sale prices, special events and promos will be sent to them as requested. No more paying extra on your social media pages to promote your sales to the existing followers! TrackIf does it for you. Wishlist Price Change Updates & Promotions. When someone adds an item to their wishlist, they are now opted into an email update when that price changes or a sale includes the item. Additionally, you can look at the items most often added to wishlists and then create a special promotional event to increase sales on that one item. Search Tracking. This unique addition to the TrackIf Ecommerce app is great for those sites wanting to know what their customers are looking for. A “Save This Search” button added to the site allows your visitors to be alerted of new or return items matching their search. There is no up front cost! You are only charged by TrackIf if you succeed in creating sales leads through the links and alerts generated as a part of the TrackIf system, email alerts and wishlists. You can set up TrackIf within a few days, give it a test run and see how it works for your site without a hefty up front fee. TrackIf proves to be an excellent application that is not only simple and non invasive to you or the customer, but affordable for even the smallest online business. If you are looking to increase your sales and revenue, set up TrackIf to help you naturally create leads and conversions with your existing and new customers. This integrated ecommerce application is a great asset to your website and business goals. Get started with TrackIf today! 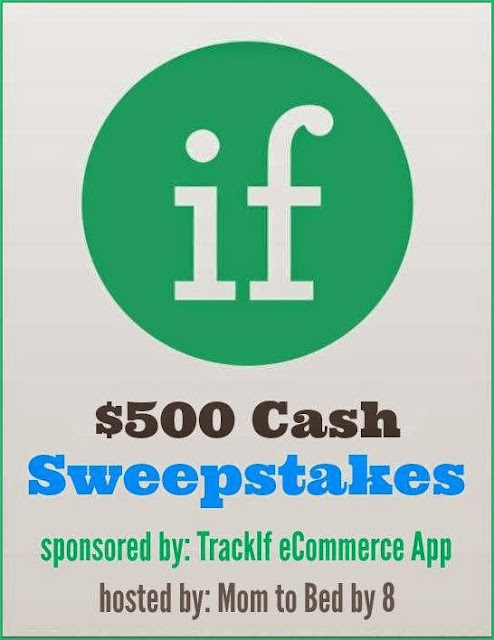 One winner will receive a $500 Cash from TrackIf. Giveaway ends September 16th at 11:59pm, open to US residents, ages 18+. Only one entrant per household, per address. Winner is subject to eligibility verification. Enter using the giveaway form below. Good luck!